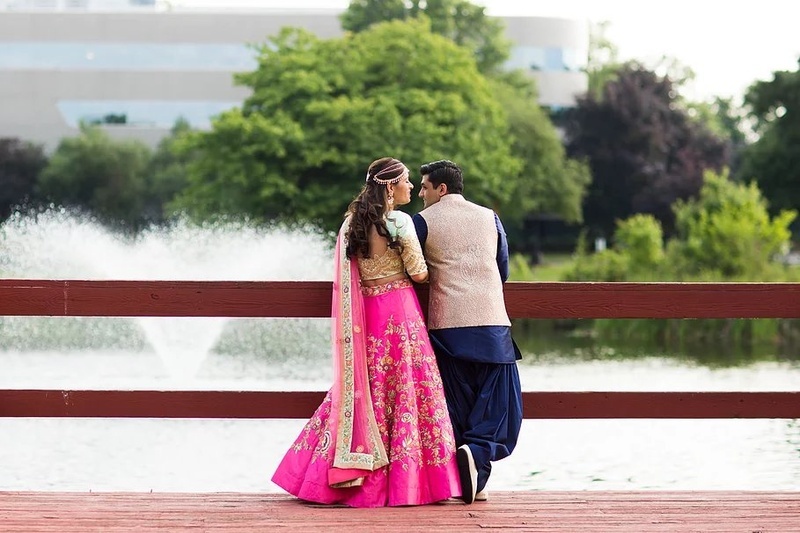 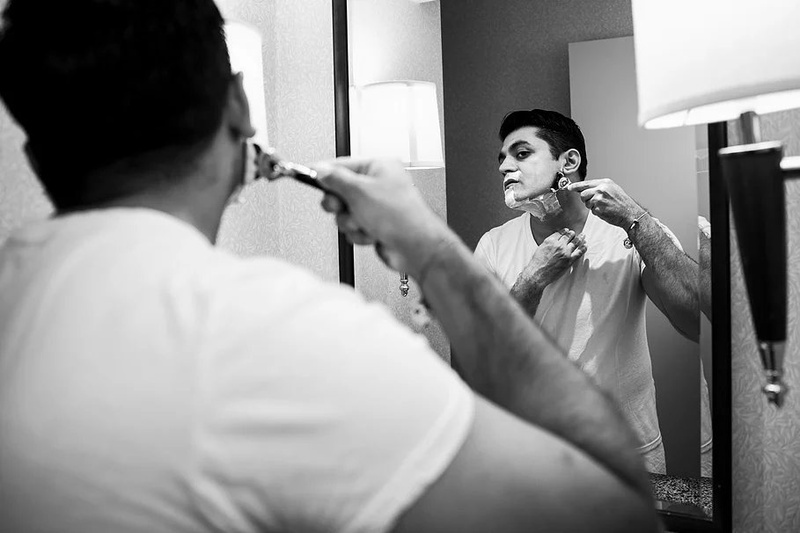 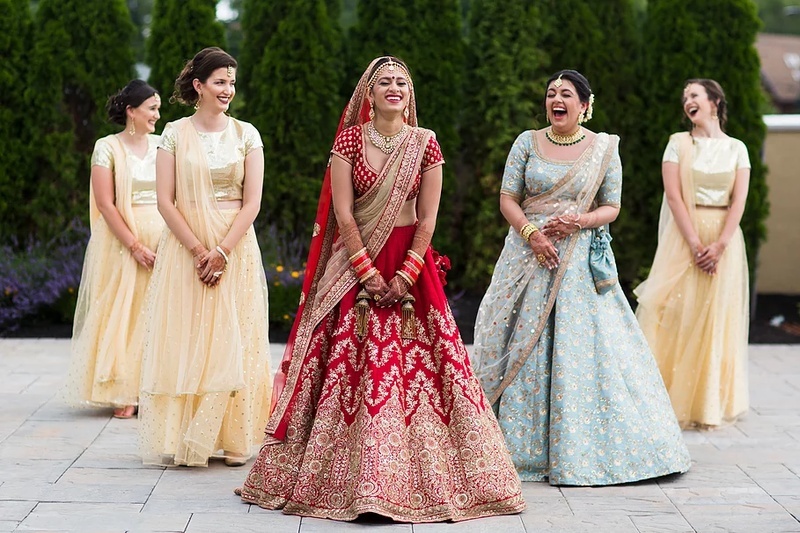 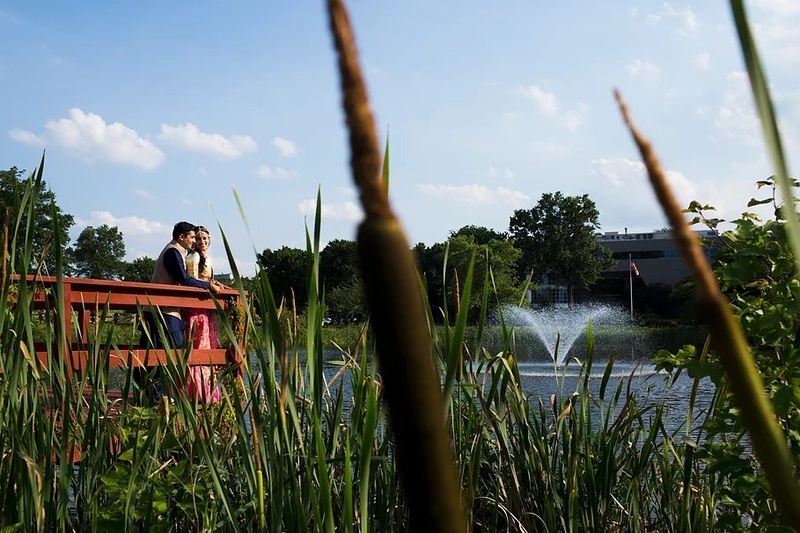 This New Jersey wedding gave us a beautiful bride, unique photography ideas and offbeat colours! 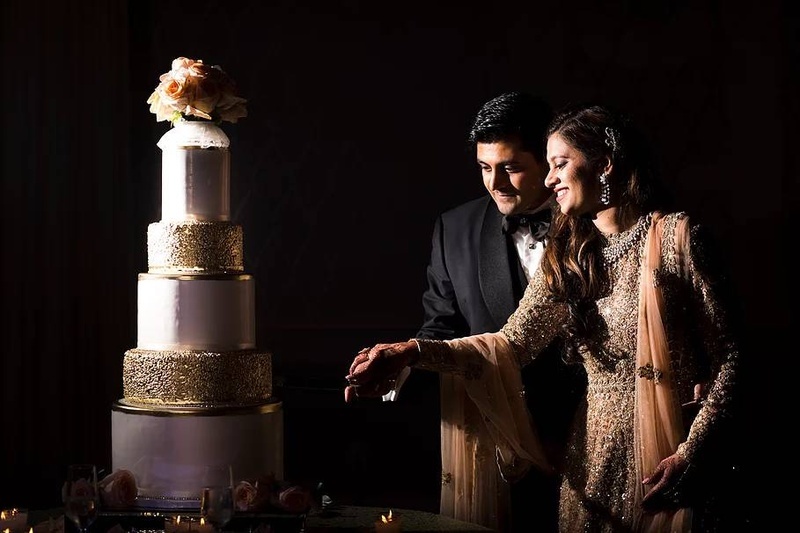 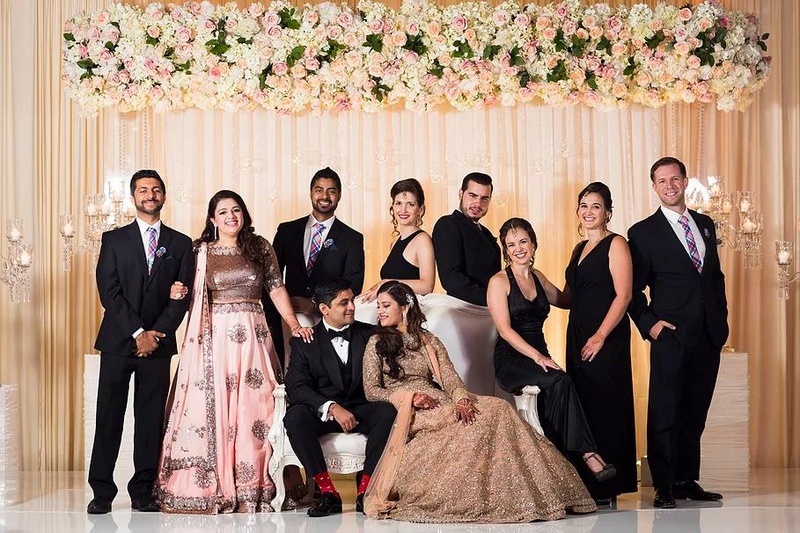 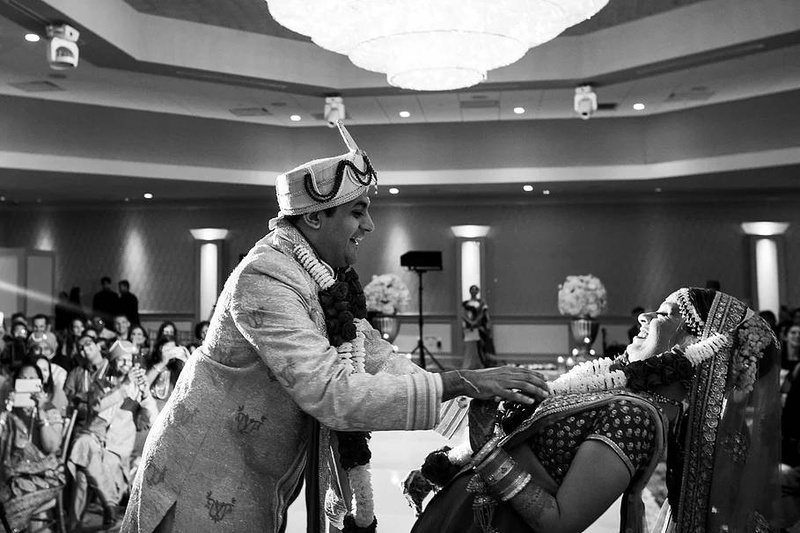 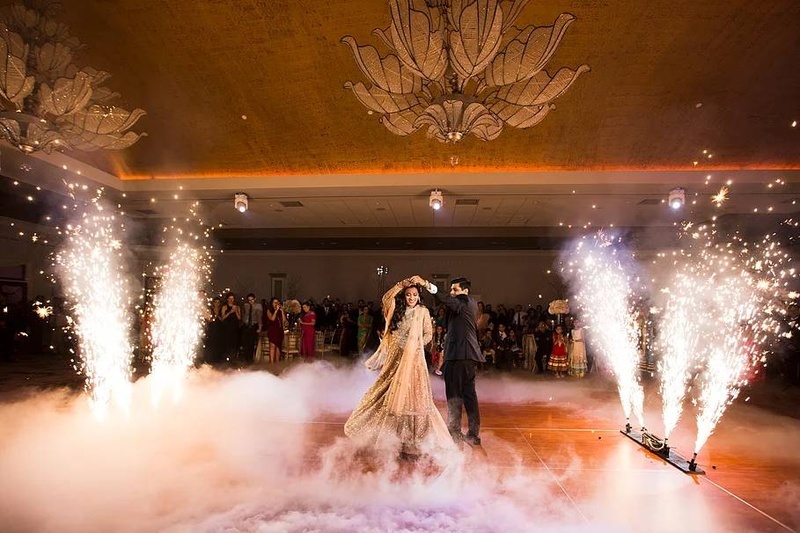 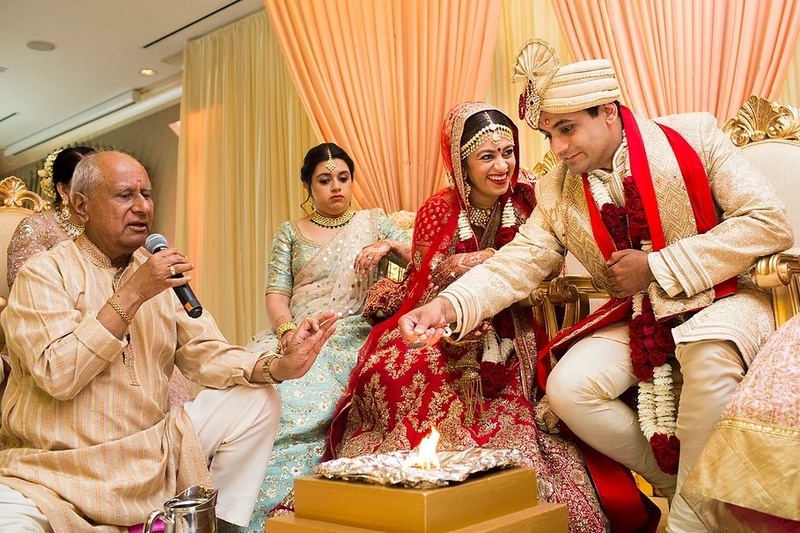 Prerna and Pranav, two love birds who just celebrated with wedding in the most elegant manner in New York. 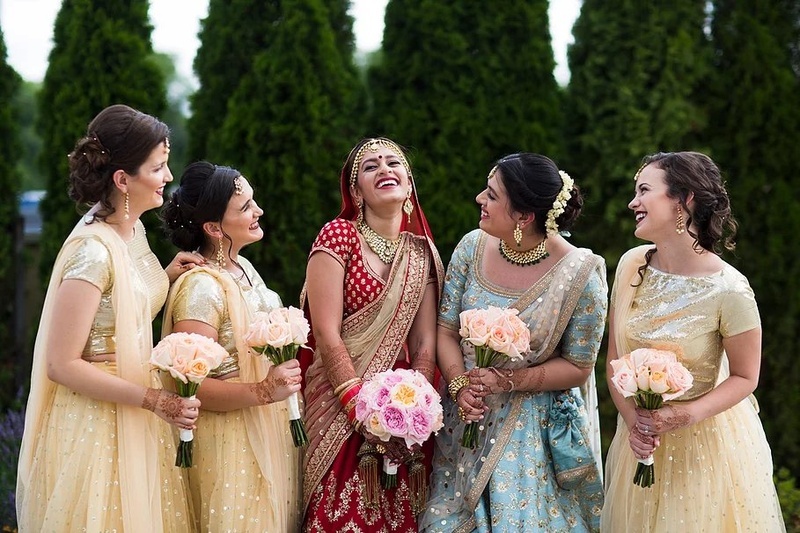 From intimate celebrations to the most unique decor that immediately caught our eye, this wedding has been a celebration of love, laughter, close friends and a guidebook on how to use pastels in your wedding 101! 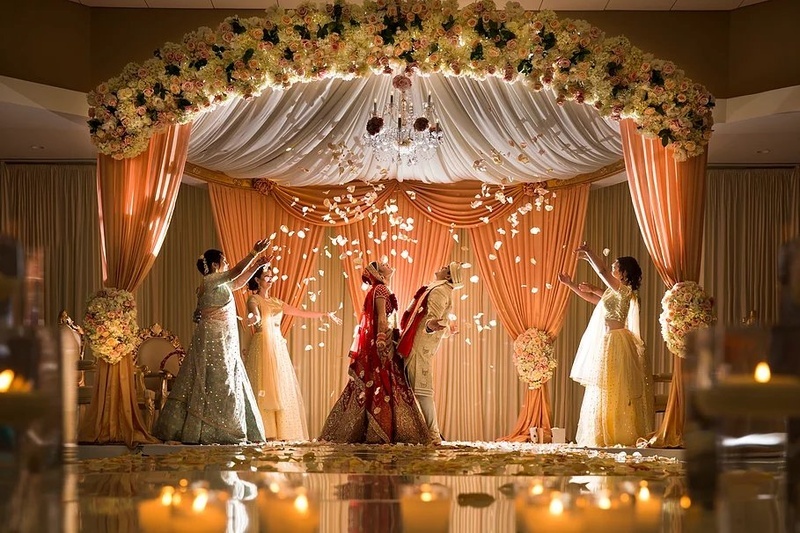 We're not joking about the tasteful use of pastels either. 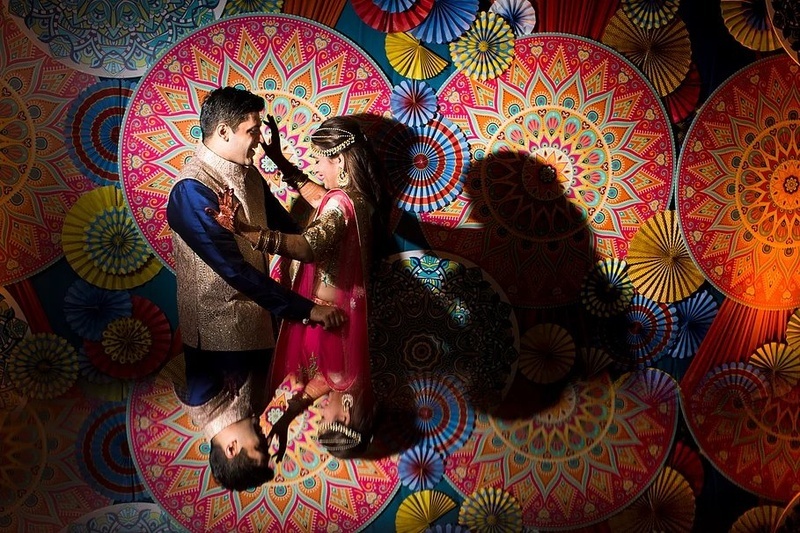 However, pastels weren't the only thing that caught our eye. 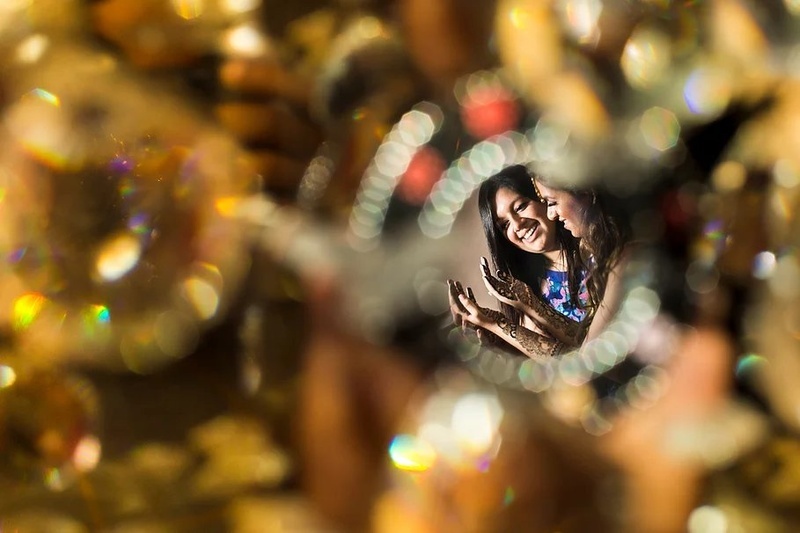 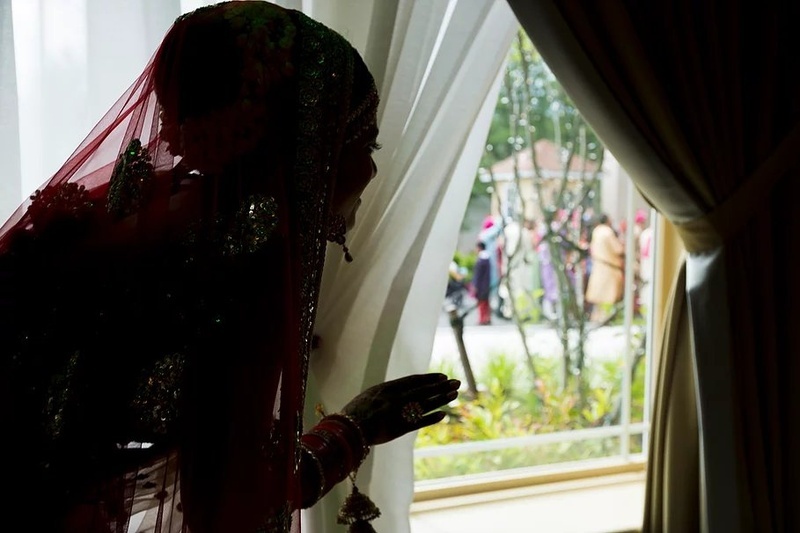 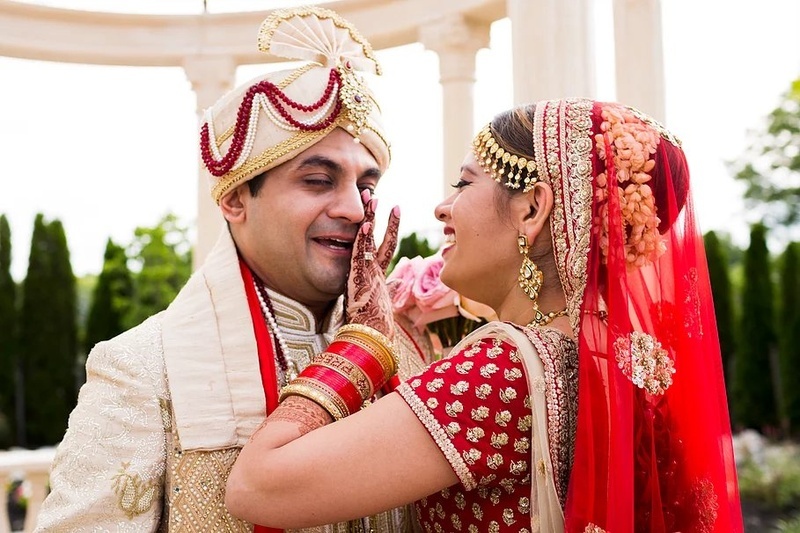 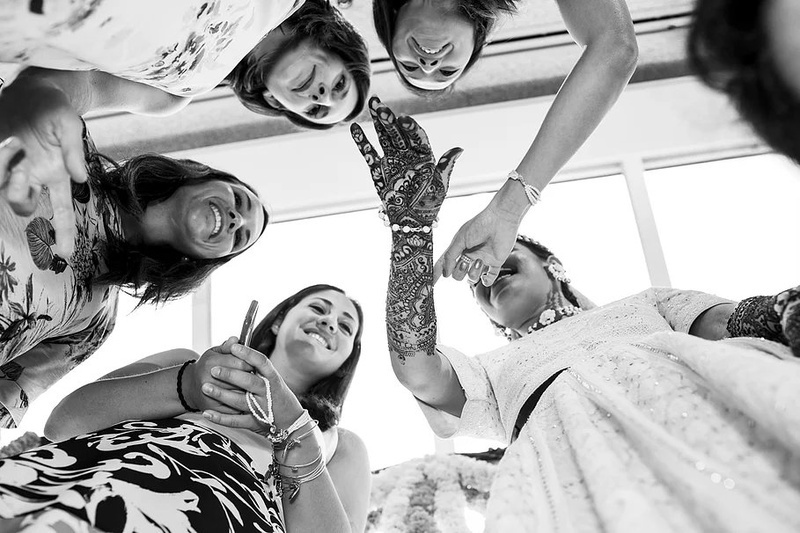 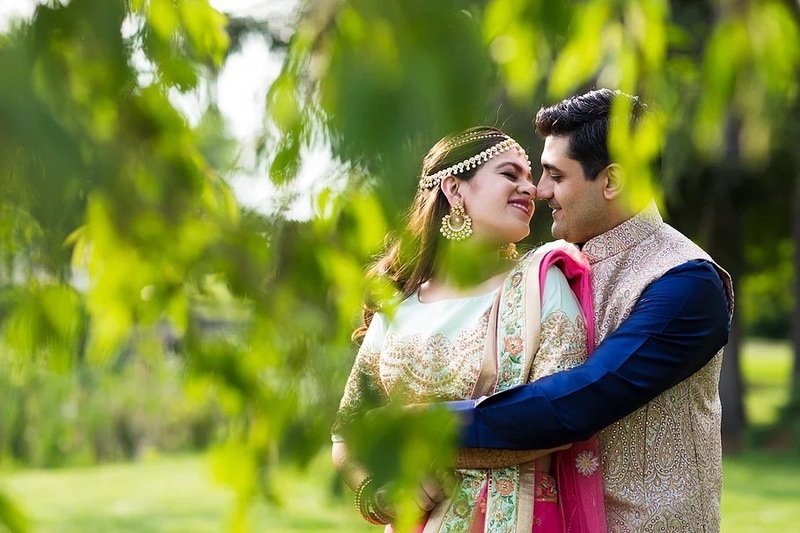 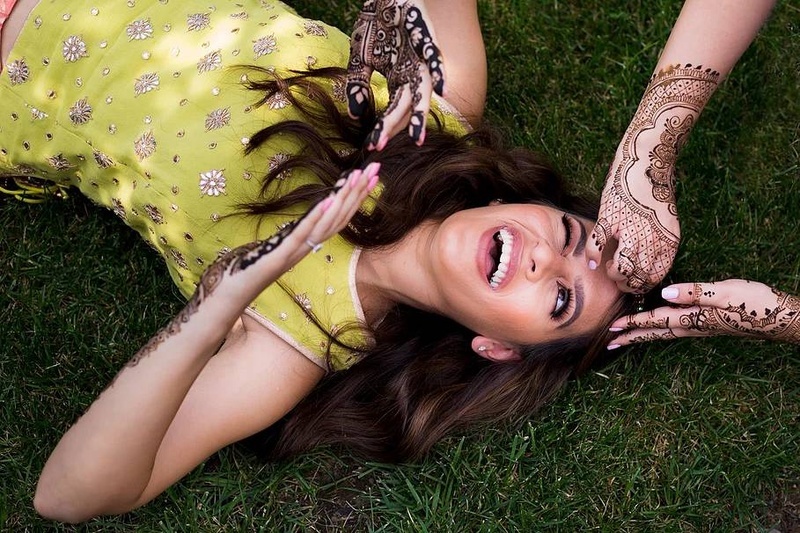 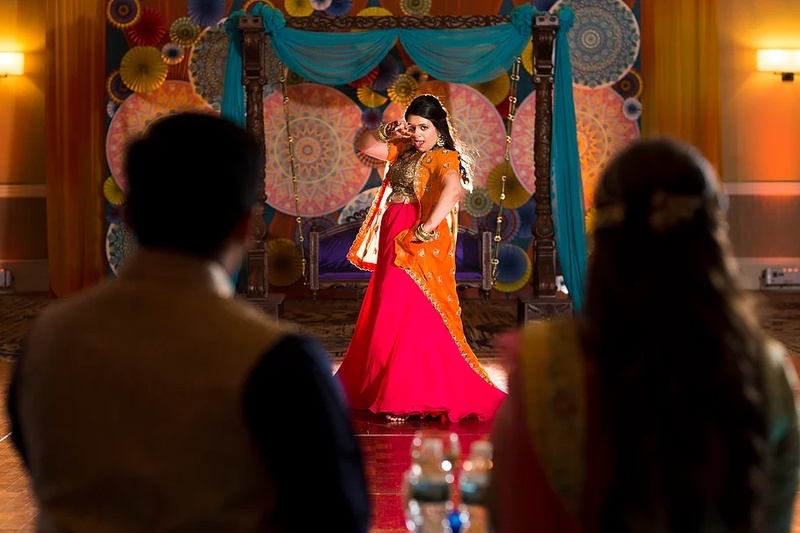 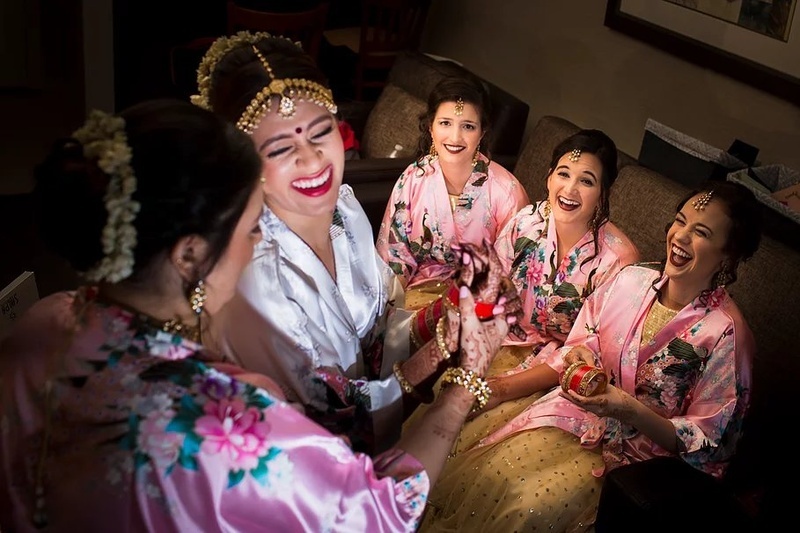 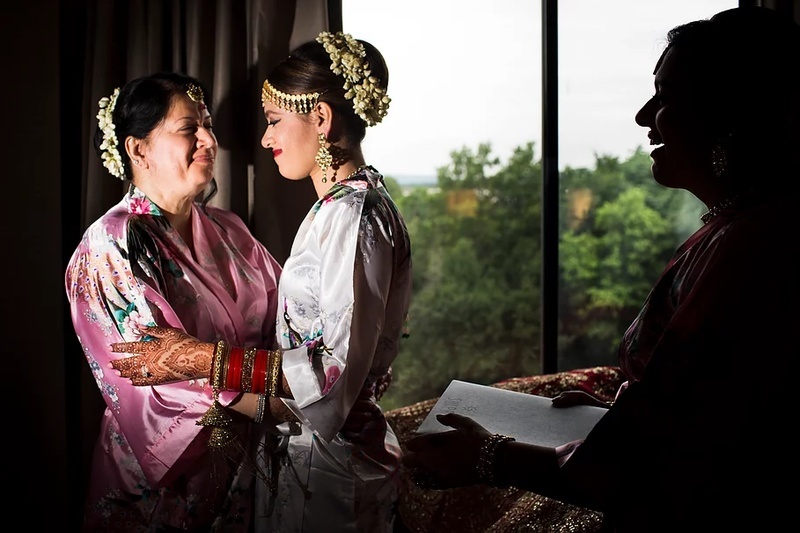 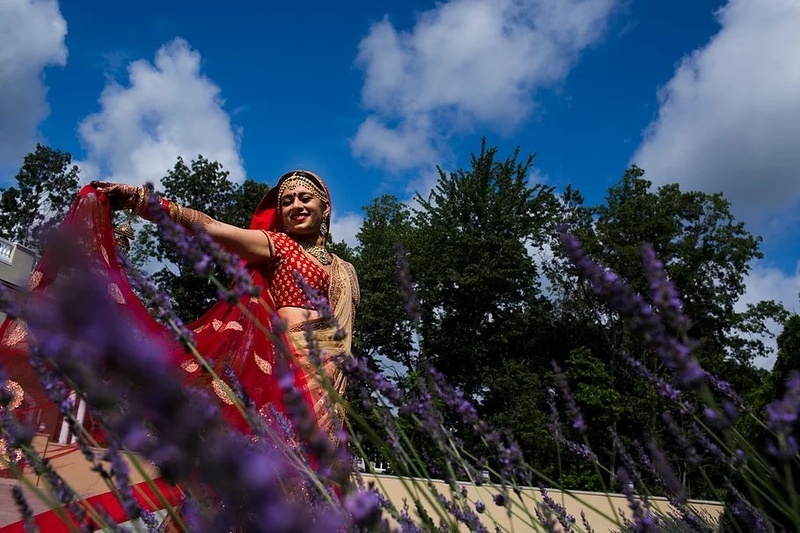 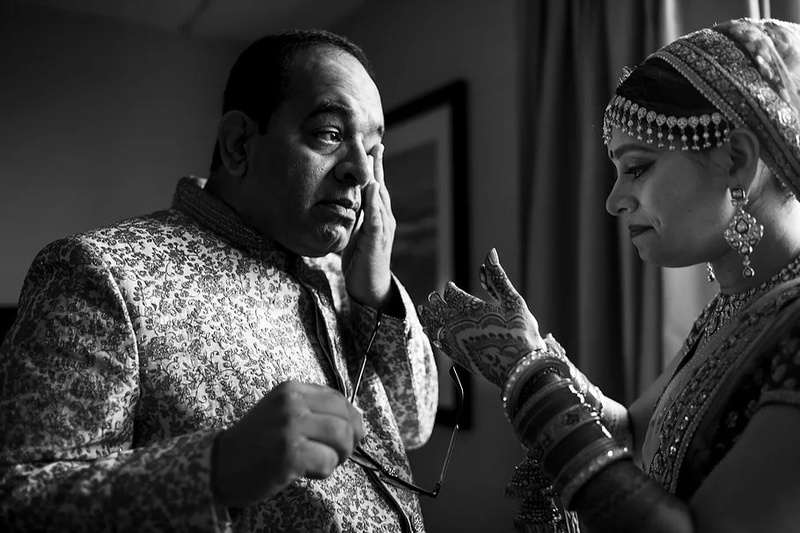 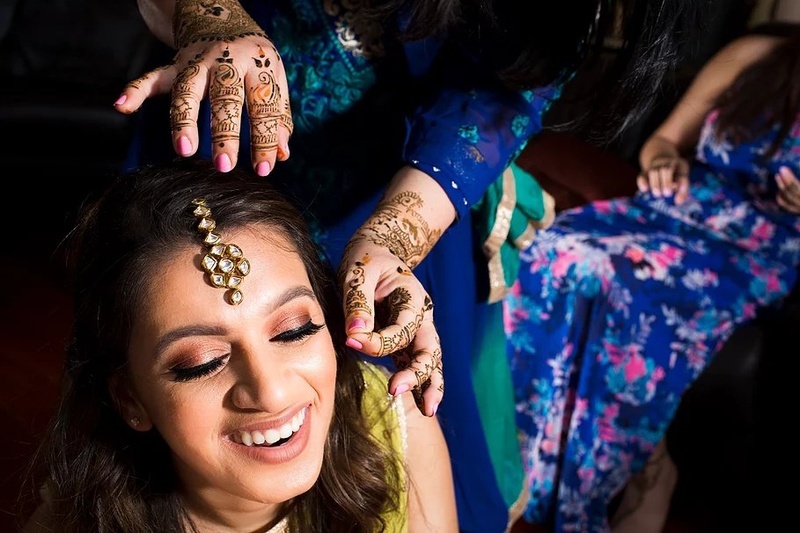 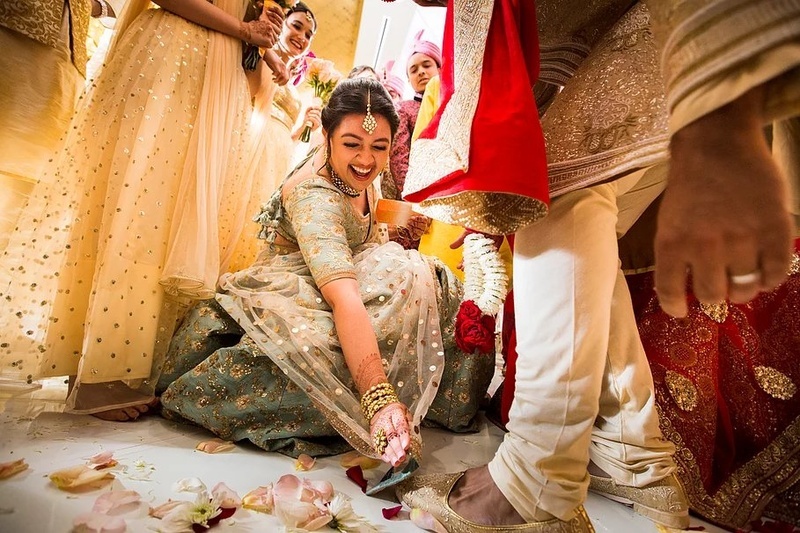 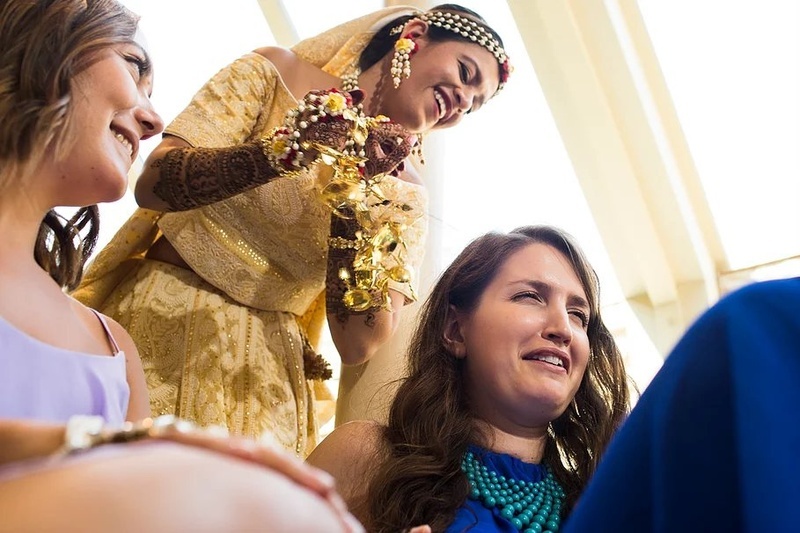 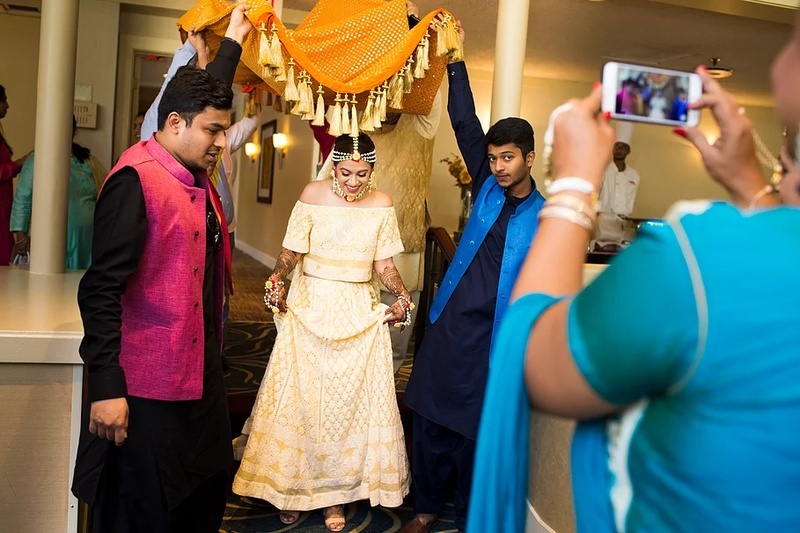 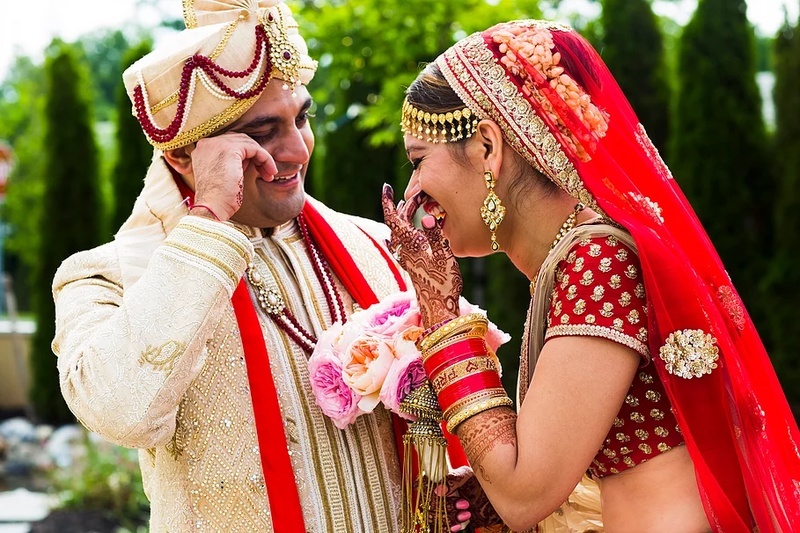 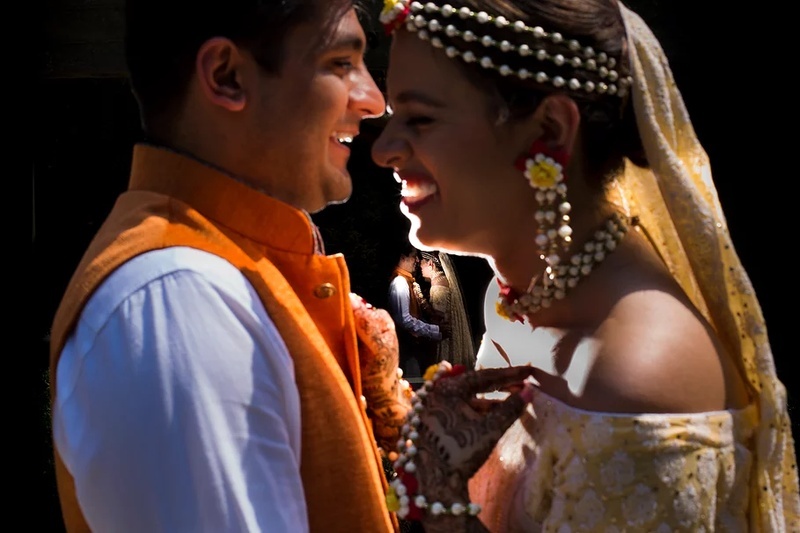 Prerna's intricate mehendi designs, shot refelctively by Priyanca Rao Photography and Pranav's tearful embrace at the wedding mandap, all had our hearts melting! 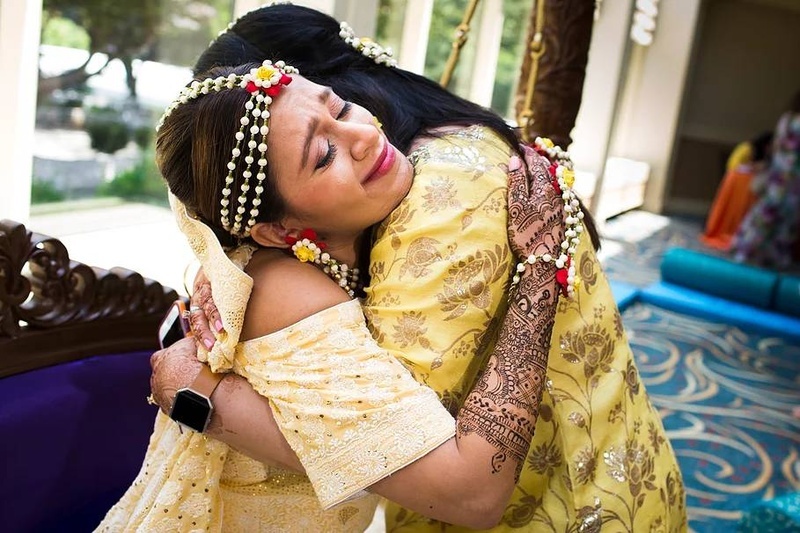 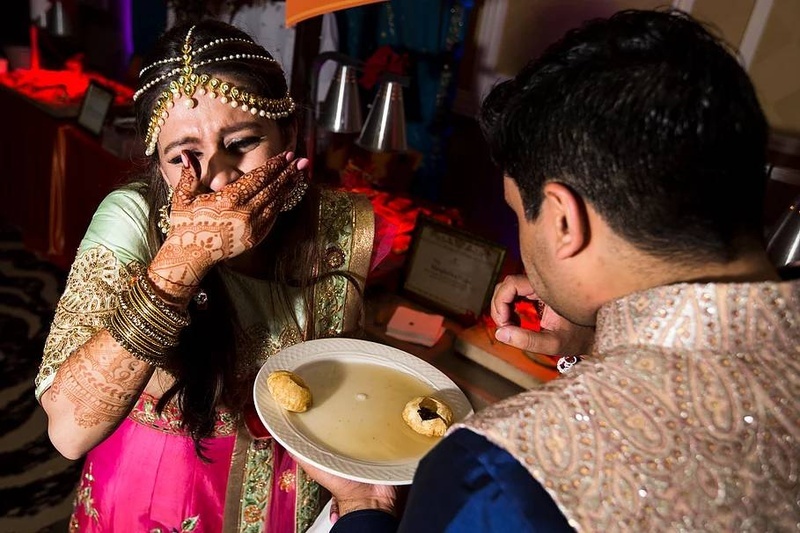 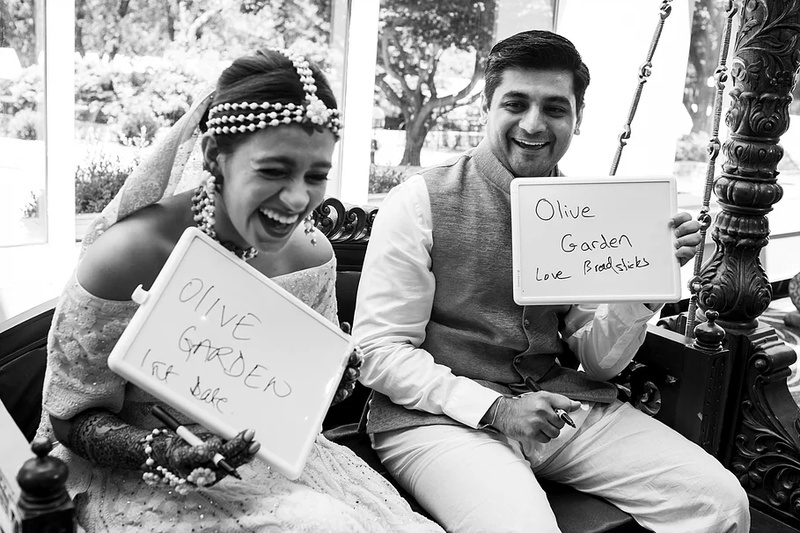 Check out all the photos from their tear-jerker wedding below! 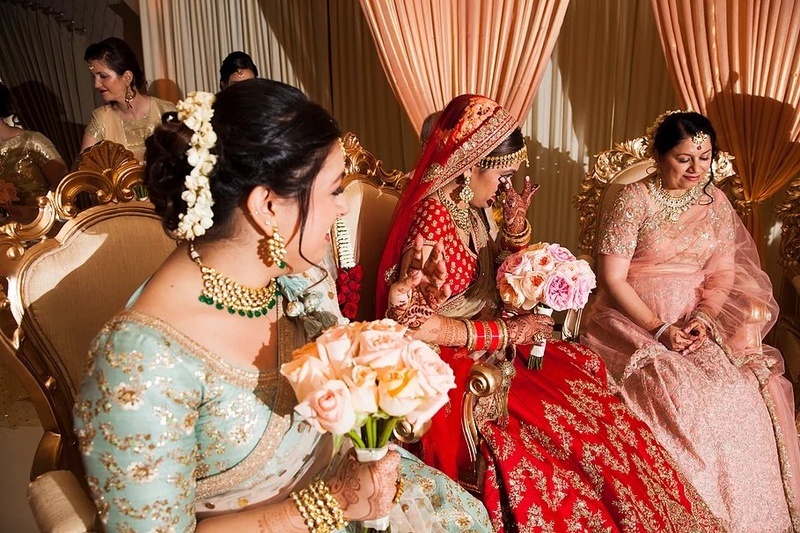 Traditional bride enters her mehendi ceremony in a gorgeous pale peach lehenga and floral jewellery! 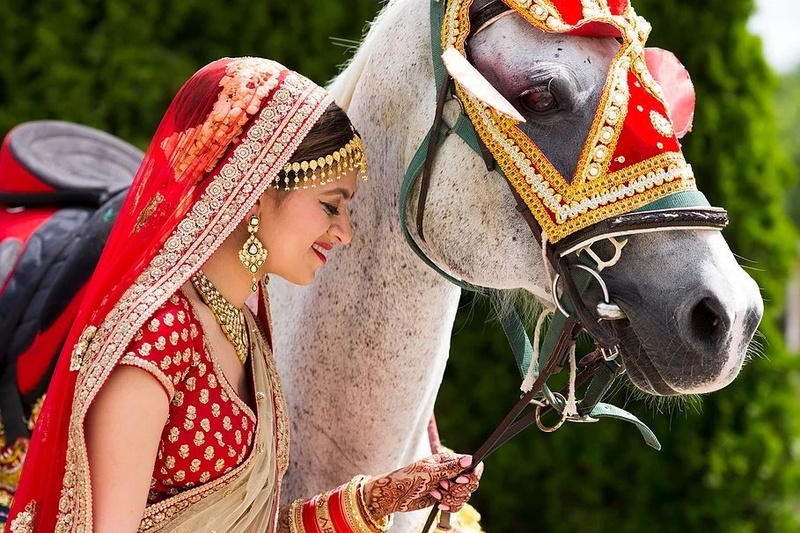 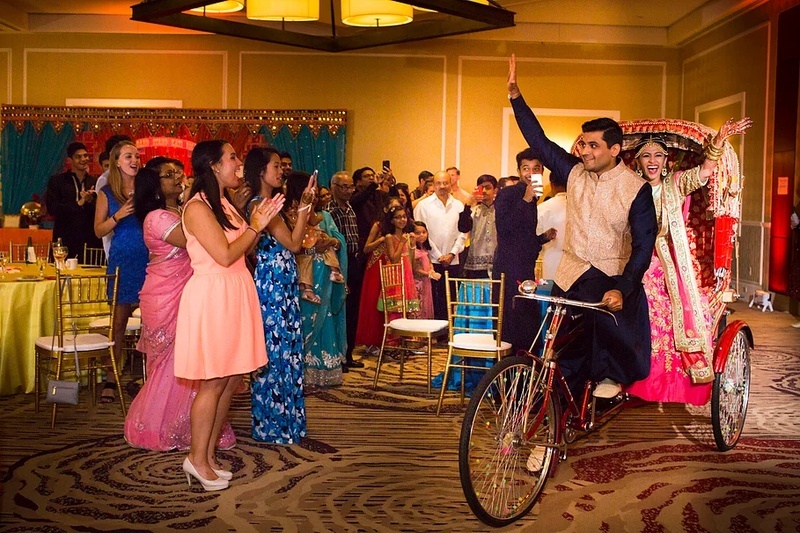 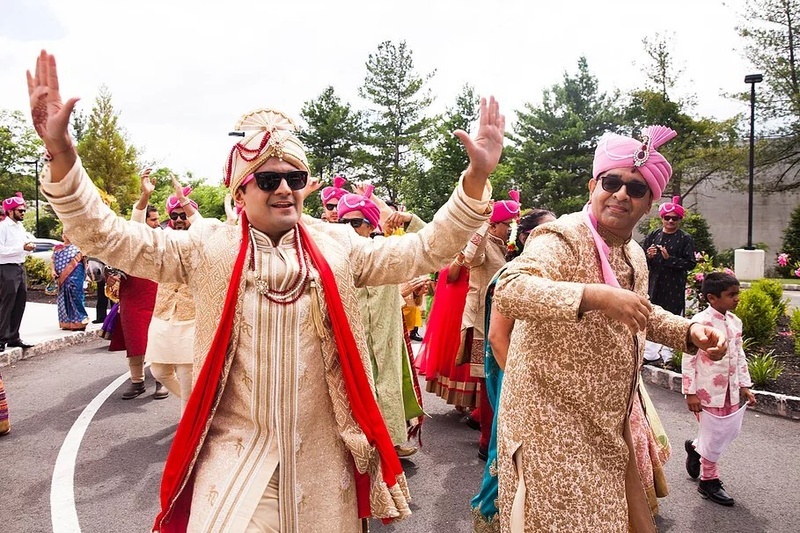 The groom cycles and brings his bride into her sangeet ceremony!